Now if we are talking body, she’s got a perfect one. There is no one hotter than Rihanna right now and it is safe to say that she knows it. She is currently topping charts with her powerful new song FourFiveSeconds, where she teams up with hip-hop superstar Kanye West and Rock-Legend Paul McCartney. But her music isn’t the only thing that makes her great; She is also a VERY influential fashionista capable of changing trends just by walking out of her front door. Every time Rihanna graces a red carpet, she brings a sort of effortless style. She looks casual yet chic. 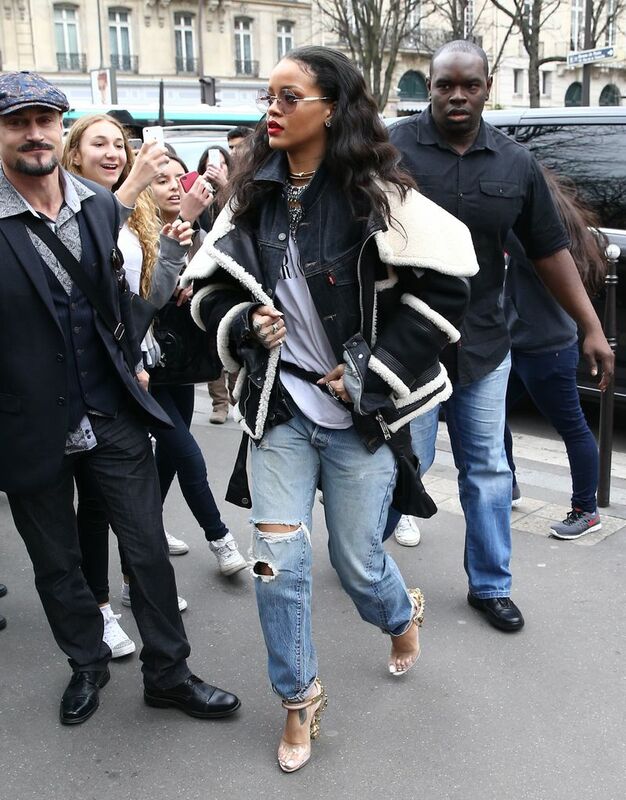 Here she is rocking a pair of boyfriend jeans for Paris fashion week. Her style is very unique and it won’t work on everyone. It requires confidence and sophistication to make any outfit a Rihanna-like outfit. Rihanna brings that random sexiness to anything that she wears and looks amazing. At least we can hang off of her coattails when trying to show everyone we know our stuff. Check out these simple dresses that look amazing and take note of how you can mimic her superb style.